More than a quarter of all fatal road injuries and hospitalisations in Australia are in the age group 17 to 25 years despite this group comprising only 15 per cent of licensed drivers. Despite comprehensive Graduated Licensing Systems introduced throughout Australia being initially successful, road fatalities in this age group have remained relatively constant over the past decade, pointing to the urgent need to enhance these systems. Newly licensed or novice drivers are at increased risk of crashing, especially in the first months of provisional licensing. Early research in Western Australia found 14 per cent of young drivers crashed within the first 12 months of driving and that the risk remains whether the drivers are licensed at 16 years of age (as in many states of the United States) or at age 17 or 18 years as in Australia. The disproportionately high number of newly licensed drivers in the crash statistics has been attributed to factors such as inexperience, an inability to identify hazards, night-time driving, carrying same-age or peer passengers and risky driving behaviors such as speeding. The aim of Graduated Licensing Systems is to moderate the effect of risk taking and inexperience and thereby reduce a young driver’s risk of crashing, as well as the concomitant risk of trauma to their passengers and associated road users. Graduated Licensing can be described as a process whereby novice drivers begin their driving careers with significant restrictions that are removed in stages depending on driving experience or successful test results. An elementary Graduated Licensing System exists in all Australian states and territories in which Learners are required to drive only under the supervision of an experienced driver and Probationary/Provisional drivers have significant restrictions placed on Blood Alcohol Content and, in some states, maximum speed and the use of mobile phones. Integral to the effectiveness of the Graduate Licensing System is late-night driving and peer passenger restrictions during the early probationary period of licensing. To date, only three Australian jurisdictions (including Victoria) have incorporated peer passenger restrictions into the system and no jurisdiction has introduced night driving restrictions. Graduated Licensing Systems that include the late-night and peer passenger restrictions have led to significant reductions in fatal and injurious crashes for young drivers. In New Zealand, where the licensing system has included these restrictions, reductions of between 7 per cent and 23 per cent in serious injury have been observed. Importantly, evaluations of Graduated Licensing Systems that include late-night driving restrictions have shown crash reductions of up to 60 per cent during the restricted hours. Proponents of late-night and peer passenger restrictions in Australia have met with a number of objections: law enforcement officials perceive that the restrictions would be difficult to enforce, politicians perceive a potential backlash from constituents, and young drivers – particularly those from rural areas – believe the restrictions would place undue burden on them given the absence of alternate transport. Despite these concerns, research in countries that have implemented the restrictions have reported overwhelming support. Enforcement appears not to be an onerous task since, for example, many parents play a significant role in policing the restrictions. Additionally, reductions in road trauma attributable to the initiatives have led to politicians responsible for implementing comprehensive licensing system enjoying additional support rather than retribution. Finally, and of most significance, feedback from young rural drivers (in the United States) following the introduction of the restrictions shows overwhelming support for the restrictions; young rural drivers either strongly agreed (10 per cent) or agreed (53 per cent) with the restrictions. The fact that all states and territories now have a form of graduated licensing for young drivers reflects the importance governments have placed on reducing road trauma. However, it is time for the jurisdictions to take more comprehensive action to reduce the growing burden of young driver road trauma. By not including night time driving restrictions as an integral part of Graduated Licensing Systems, authorities are missing a proven opportunity to significantly reduce the over-representation of young drivers in our road fatality and injury statistic. 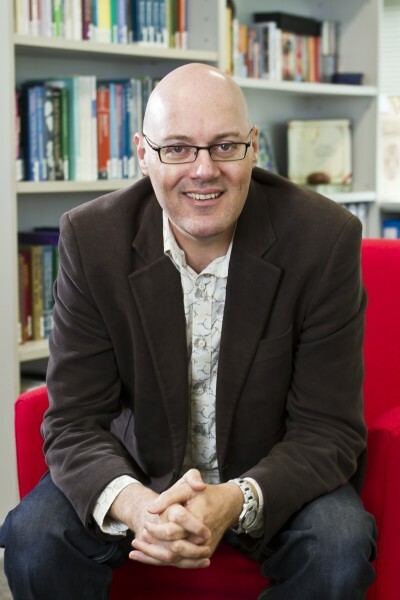 Professor Mark Stevenson is the Director of the Monash University Accident Research Centre. This opinion piece originally appeared in the National Times.